Every April, Liz Brownlee’s PoetryRoundabout.com bravely features a poetry-related A-Z challenge. This year, the challenge sees a host of children’s poets penning poems in which the titles begin with a specific letter of the alphabet. I got N – and here’s my poem, Now That I Really Think About It. Hope you enjoy it! Don’t forget to check out the full A-Z featuring a brilliant line-up of children’s writers! I’m thrilled that my poetry film ‘Outside’ has been selected to be screened at the second Newlyn International Short Film Festival in Cornwall. The festival will take place over the weekend of Friday 5th-Sunday 7th April 2019. The venue is the imposing Acorn Theatre in Penzance – the whole building will be used for screenings, workshops and a festival party. DIY Cinema is an event with a focus on community and collaboration. The team curates evenings of short films with different themes each month for your viewing pleasure. ‘Worship’ is the theme for DIY Cinema’s fourth event on 10th April: whether you’re devoted to your work or your loved ones, Bowie or breakfast, forests or football… what do you worship? The programme will include my poetry film ‘Welcome to the Crush Zone’. £2 on the door, bring your own drinks and snacks. More details on their Facebook event page. Following events across Wiltshire and Somerset, and screenings at festivals in Athens and Australia, the Poetry Film Collective heads to Bristol for our final tour date! Featuring films from Chaucer Cameron, Helen Dewbery, Stephen Daniels, Iris Anne Lewis, Sam Loveless, Brian Reid, Shauna Robertson, Sally Ann Russell, Tom Sastry, Lucia Sellars and Dominic Weston. The Poetry Film Collective was set up in 2018 as a six-month project funded by Arts Council England to explore how people from different artistic backgrounds might approach poetry film-making. We are all poets. 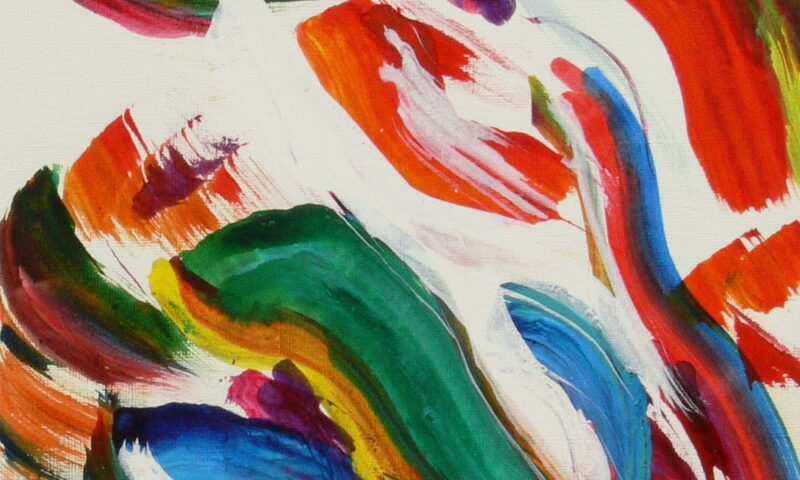 Some of us are also performers, film-makers, musicians and visual artists. Some of us have lots of experience in one area while others are just starting out in another. We’ll screen several films, then have an interval to grab a drink and have a chat, then screen several more. 8pm at The Arts House Cafe, Bristol as part of the LYRA Bristol Poetry Festival. Brain addled by too much screen time? Give it a fun workout with this head-scratching new anthology from Bloomsbury, edited by Roger Stevens. 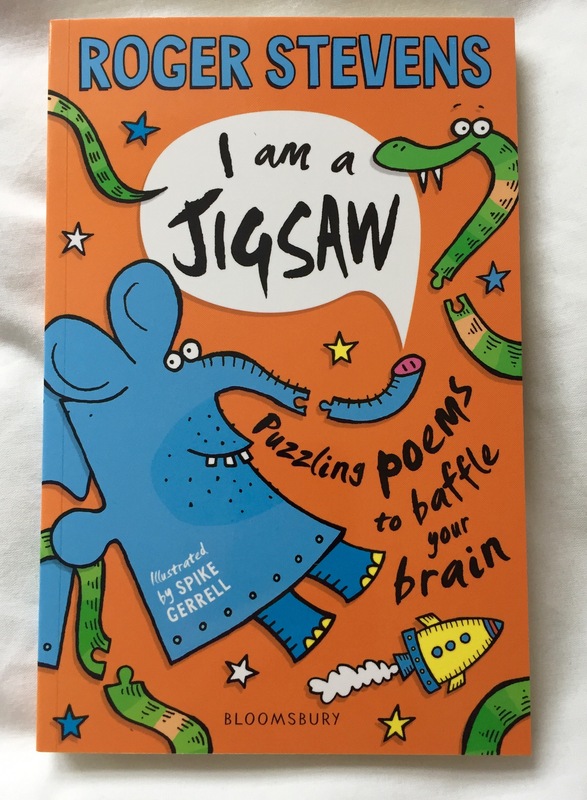 I am a jigsaw: Puzzling poems to baffle your brain is packed with clever conundrums and tricky teasers, penned by a raft of daft and deft children’s poets (including a couple from me). If you like “words that would rather play hide-and-seek than be sensible and sit in a chair to be read quietly,” then this is the book for you. 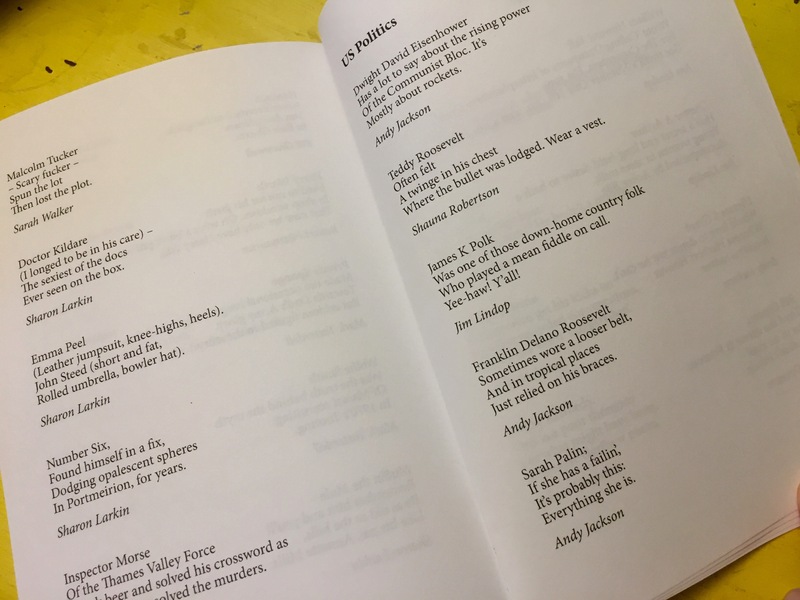 The Call of the Clerihew from Smokestack Books is edited by George Szirtes and Andy Jackson, and I’m delighted to have a few verses included. Not familiar with this deliciously disdainful poetic form? Sometimes described as the literate cousin of the Limerick, the Clerihew was invented by Edmund Clerihew Bentley (1875-1956) and is designed to lower the tone and cut everyone down to size. Perfect, then, for these times of social upheaval, political chaos and general idiocy. The Call of the Clerihew brings together fifty contemporary exponents of this ridiculous form, including Ian Duhig, WN Herbert, Jacqueline Saphra, Katy Evans-Bush, Michael Rosen – and me, cocking a snook at the great and the good, the important and the self-important, the religious and the royal, despots and detectives, poets, philosophers and politicians. Feeling sneery? In need of a chortle at someone else’s expense? Step right up, the folks at Smokestack Books will be happy to satisfy (in exchange for a small amount of cash). Buy it now here. Just out from Chicago-based publisher Dancing Girl Press, my second poetry chapbook, ‘Love Bites’. and 250 species of bacteria. It makes him feel heroic. This is Love’s job description. I reach for my gun. To receive a guarantee, I tell him, is to be lied to. If you’re in the UK or Europe, drop me a line to order a copy (faster delivery and lower p&p costs than ordering from the US). Otherwise you can order a copy direct from Dancing Girl Press. Thanks – hope you enjoy it! My poem, ‘Everything That Can Happen’, is featured as the title poem in the latest anthology from The Emma Press, devoted to exploring the future. Edited by Suzannah Evans and Tom Sastry, Everything That Can Happen contains many kinds of future: an android fills out a passport form; the local cricket pitch is lost underwater; frozen limbs thaw from cryogenic sleep; robotic shoes allow for high speed parenting. The poems in this anthology explore time, language, changing landscapes, future selves, uncertainty, catastrophe and civilisation. Whether imagining a distant, apocalyptic future or the moment we live in, nudged slightly beyond what we know, the poems ask what we can do to prepare ourselves for a future that edges a little closer every day. 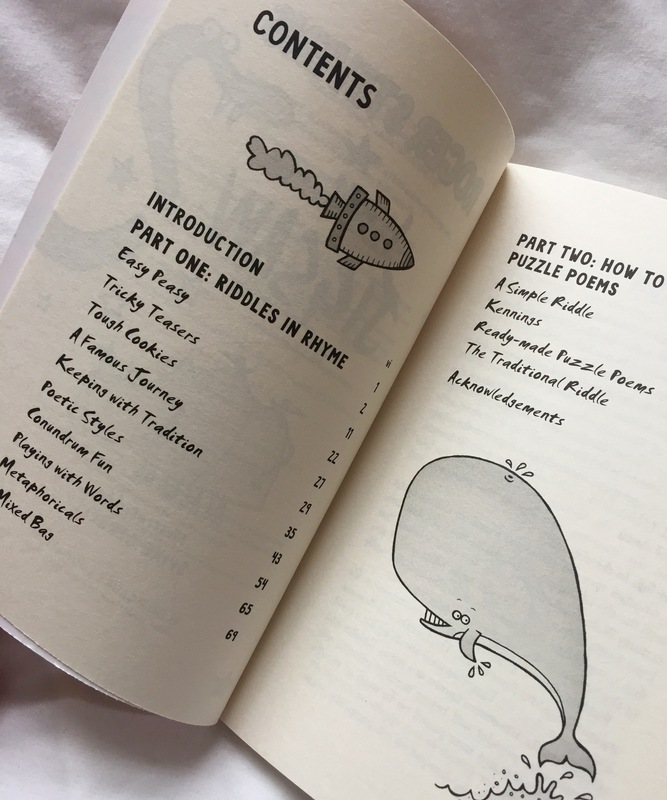 There’s a book launch party in London on Monday 18th February. The folks at The Emma Press do throw a good bash. Details on Eventbrite here. 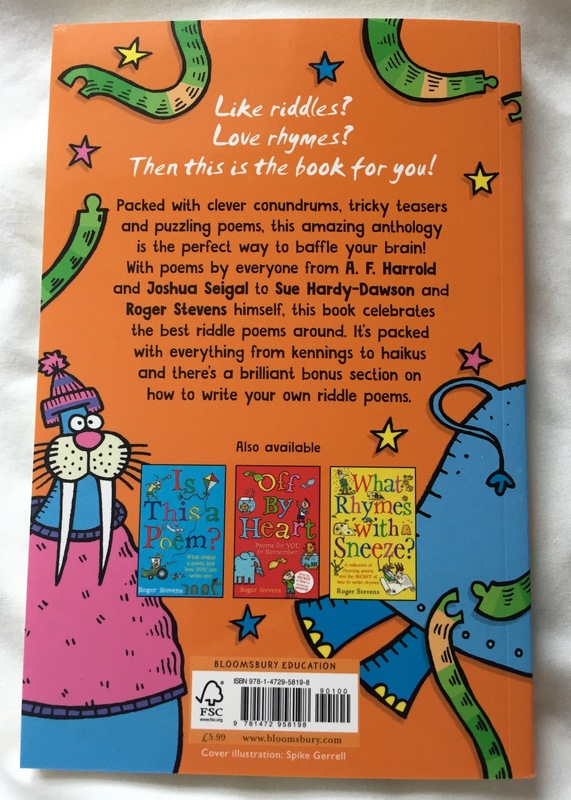 I’m thrilled to have a poem (‘Cookin’ Up a Universe’) in this fantastic collection celebrating the 20th anniversary of the Poetry Zone, created by acclaimed children’s poet Roger Stevens as a website where children and teenagers can send their poems and see them published. 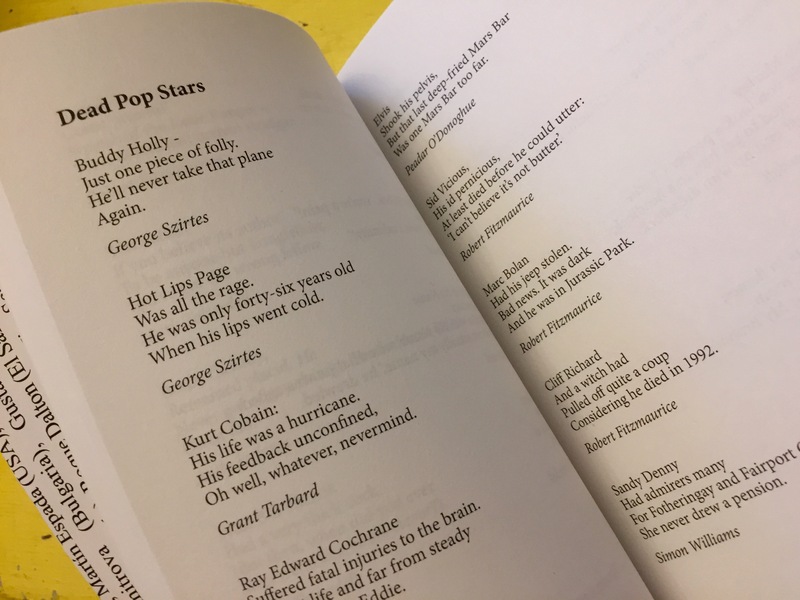 This sparkling anthology of over seventy poems includes new poems specially written by children, along with poems donated by some well-known children’s poets, including Brian Patten, John Agard, Brian Moses, Grace Nichols and Philip Ardagh. (And me – not so ‘well-known’ but quietly working on it!). Dig deep folks. It’s a wonderful collection and what’s more, all of the royalties will go to a children’s charity. Grab your copy from your local bookstore. Find out more at Troika Books.